Six More Weeks Of Winter In Port Jefferson? 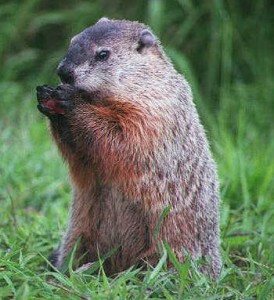 Yesterday was Groundhog Day across the US and Canada. MANY SHADOWS DO I SEE, SIX MORE WEEKS OF WINTER IT MUST BE! If you were hoping to be done with winter (me included), the groundhog had some bad news for us yesterday….HE SAW HIS SHADOW! This tradition goes back to medieval times when there was a superstition that all hibernating animals emerged from their caves and dens to check the weather on Candlemas Day, which is halfway between the winter solstice in December and the vemal equinox in March. If the animals saw their shadows, winter would go on for another six weeks, and they could go back to sleep. Hey, do you know which European country Candlemas Day originated from?